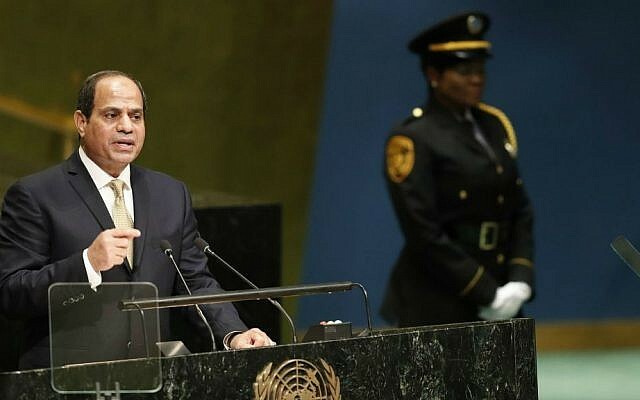 Egypt’s president has urged Israel and the Palestinians to look to the “wonderful” example set by his country and the Jewish state and agree on a solution that lets them exist in peace as two neighboring states. 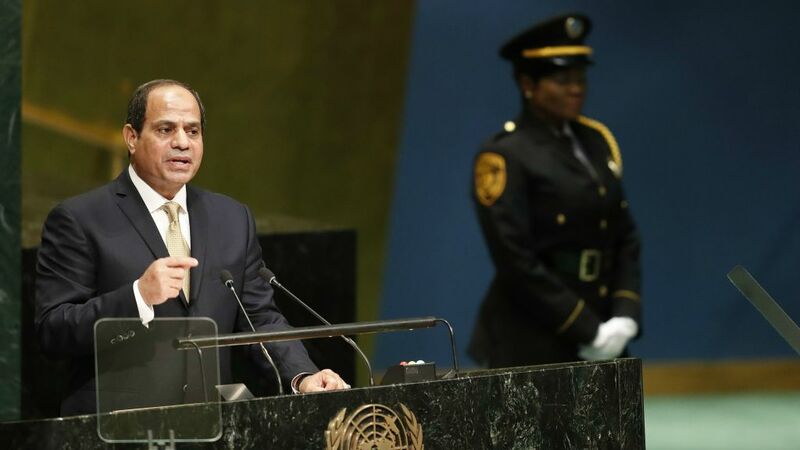 Sissi said the Israeli-Palestinian conflict was at “the core of regional instability” and called for a settlement based on a two-state solution leading to a Palestinian state. The first Arab country to make peace with Israel – the only other one is Jordan – Egypt has stepped up its diplomacy in recent months to try to re-start Israeli-Palestinian peace negotiations. The peace process has been comatose since the collapse of a US-led initiative in April 2014.